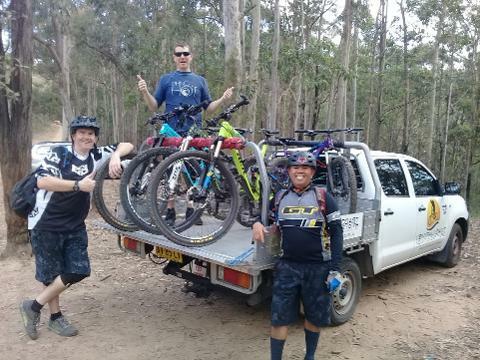 Explore the Central Coast's best mountain bike park riding a highly capable dual suspension trail mountain bike. Includes uplift shuttle access. 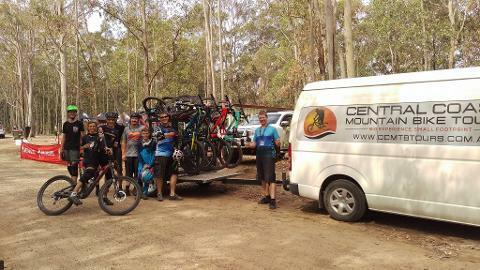 Our knowledgeable and experienced guides will ensure you don't miss a single section of flowing, gravity oriented single track! 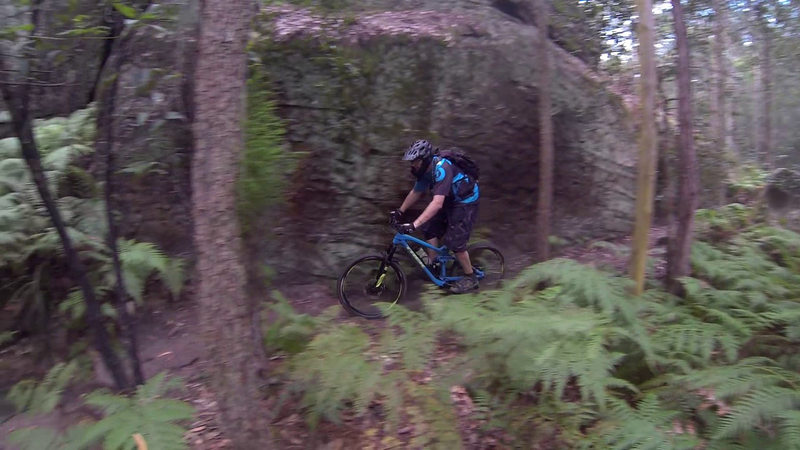 Benefit from expert advice on line choice, technical execution and skill assessment, then challenge yourself AT YOUR OWN LEVEL and follow your guide down trails specifically selected for your skill level! 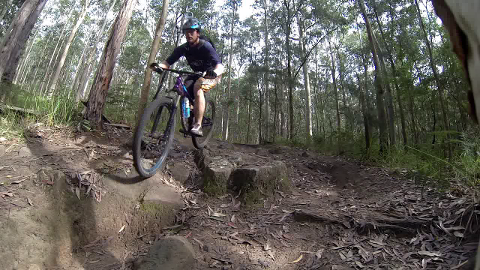 This intermediate level bike park adventure begins with some fun flowing sections of the Ourimbah cross country trails, then progresses to an exploration of the Gravity Enduro stages before we load the bikes onto the shuttle and uplift to the start of the Ourimbah Downhill Race Trail for a sighting run! This experience takes approximately 2.5 hours to complete, including breaks and shuttle time. 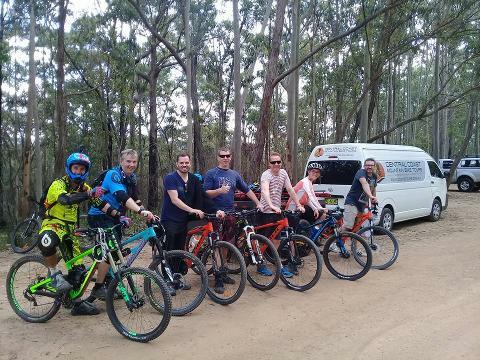 It requires good fitness as we will be riding ups and downs through the bike park before enjoying a shuttle uplift to finish with the downhill race trail. 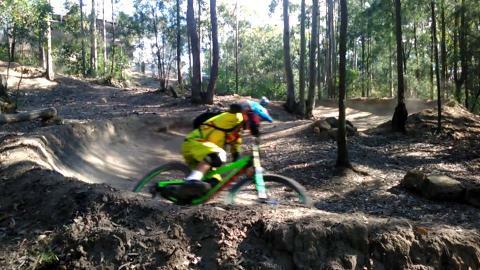 Once the session ends feel free to enjoy a few shuttles and flow down the big hill on your own! 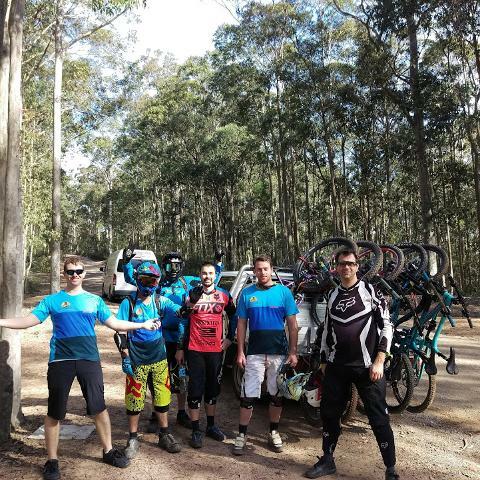 Progression is the name of the game - our unique route through the Ourimbah trails will allow you to grow your confidence throughout the ride. Pay online immediately or cash/credit card accepted on the day.